“To begin the process, I wrote to the Red Cross with my interest of hosting a blood drive and attached my story – the story of how blood donation has saved my life. While I waited to hear back from the Red Cross, I also reached out to the Answering TTP Foundation and filled out their Blood Drive Form, to let them know what I was looking to do and to see how they could help me. From there, things kind of just took off. 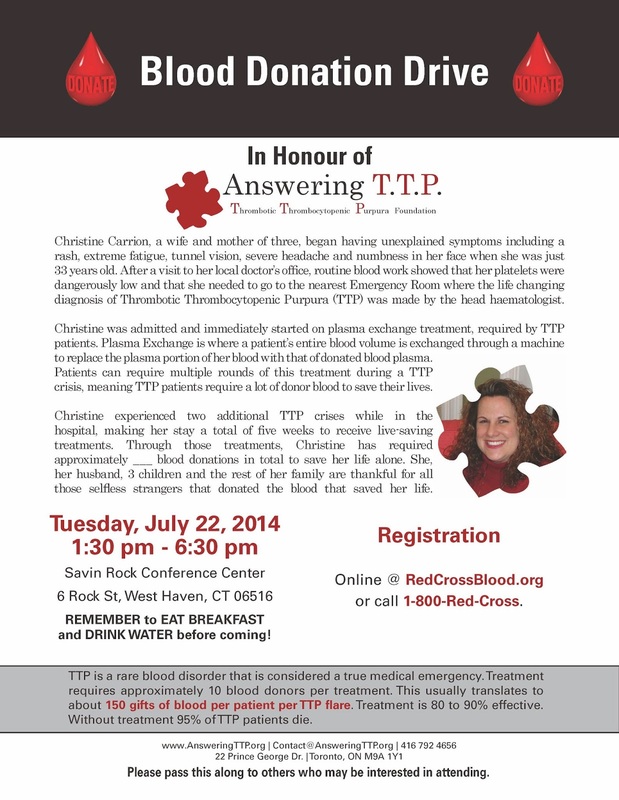 The Red Cross worked with me to select a date, time and location for my drive and the Answering TTP Foundation helped to create flyers and spread the word to their community by posting my event on the front page of their website with a link to the flyer. The Answering TTP Foundation also sent us ribbons and info cards that we were able to hand out at the drive to help spread awareness for TTP. We printed out lots of flyers that our family helped us distribute before the event. We also spread the word on Facebook and though local paper and radio. The Red Cross had set up an electronic appointment book for the day and this made it really easy for people to make appointments so they knew when they needed to show up on the day of the drive. The week before the drive, there were 21 appointments and more people promising to show up on the day. The Red Cross estimated that 26 people would come out that day to donate. My TTP patient match, found through the Foundation’s Patient Connect Program, even decided to make the trip with her family to take part in the drive as well! It was emotional and heartwarming to meet her for the first time in person. Our families grew close and now we all keep in touch and are planning our next get together! On the day of the blood drive, my family, friends and the Red Cross set up for the drive. Family, friends, co-workers, teachers, and strangers all came to donate. I think a lot people came out because it was a drive that was dedicated to someone in their own town. 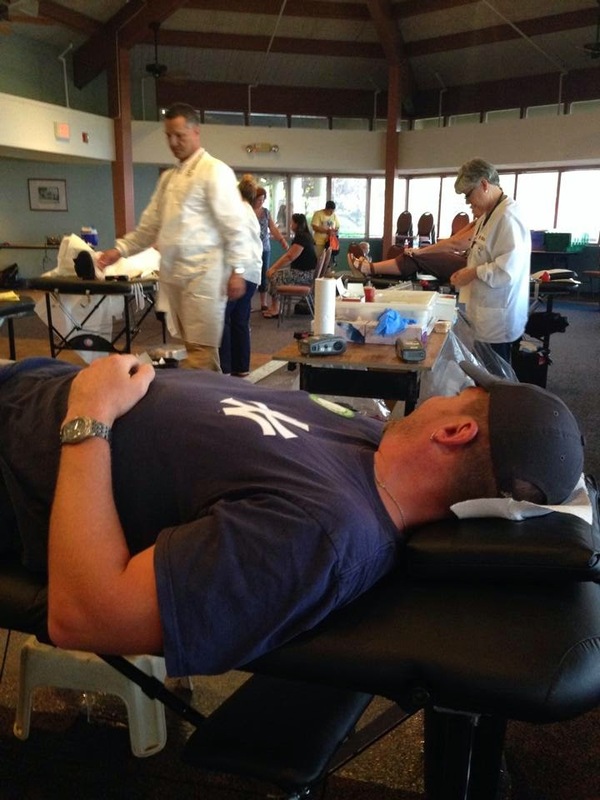 They were able to put a face to the importance of blood donation! At one point there was a two-hour wait to donate! I was overwhelmed by all the help, love, and support I received for this event. It meant so much to me to give back some of what I have taken and to truly understand how people that donate selflessly can help save another life. Everyone spoke of what patients with TTP go through, some took the handouts I had on the table with juice and snacks. All wished us luck and well wishes. By the event’s end, we had not received 26 donors but 36! 41 people came out that day to donate and 36 were viable donors. I was approached by the Red Cross staff and told I had a very successful drive. I was also invited to make my drive an annual event! I am glad to say that I now have something to look forward to in July, which happens to be the month I was diagnosed!" To view all the pictures from Christine's Blood Drive Click Here to view our photo book. 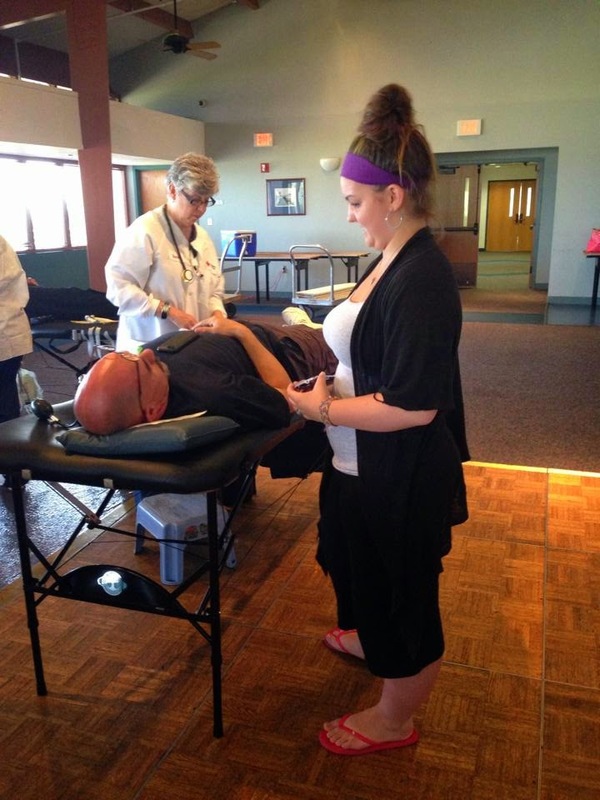 Interested in organizing your own Blood Drive? We can help! To get started visit our website Here!